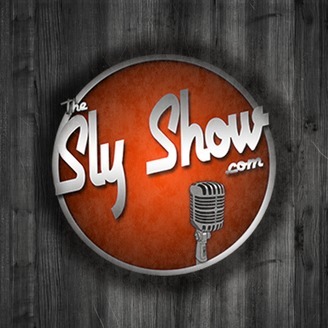 TheSlyShow.com is an inappropriate, unfiltered, unpredictable, and irreverent mass media platform, which specializes in its unique brand of Comedy, Music and Sports. 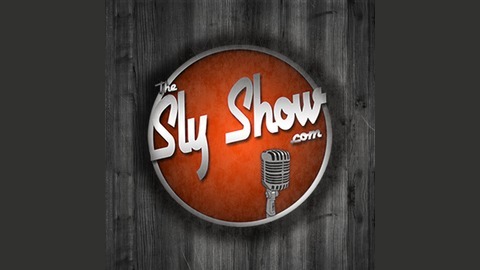 Launched in 2004 as a way to escape the traditional forms of media, The Sly Show.com's flagship program, “The Sly Show,” is often described as “randomized-fuckery” with an improv-style, anything goes, edgy podcast. The show displays a full-on, “no holds barred” format with a mixture of Sly's recognizable voice, racial slurs, sports rants, calling people out, crazy opinions, prank calls, lots of coffee, toilet humor, funny skits, and 100 topics per show. Bridges are usually burned and nothing is off-limits during an edition of The Sly Show. Anything and everything goes down. It's seriously improv 101 while being live on-location, which can be anywhere from living room recliners to parking lots and the fans love and embrace it. Additionally, TheSlyShow.com houses a its own Clothing Line, Online Shop, and serves as the premier destination for original, on-demand content such as DJ mixes, Podcasts, YouTube videos, Compilations, original music, mashups, albums, documentaries, along with other digital-media produced exclusively by TheSlyShow.com. All of TheSlyShow.com's content is syndicated through popular content platforms such as, iTunes, YouTube, Mixcloud, Stitcher, Audiomack, and Tunein.com.